Sifting through the hundreds of penny stocks on the market is overwhelming. That's why we put together three easy strategies that will teach you how to trade penny stocks successfully. 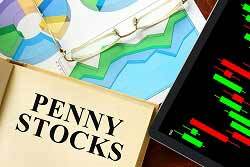 But before we get to our three strategies, let's look at why you can profit from penny stock investing. Companies in the penny stock category often have products under development or are undergoing clinical trials. These penny stocks can soar if the companies have a major breakthrough. And catching a penny stock when this happens will reward you with a fast-track to an early retirement. Take Monster Beverage Corp. (Nasdaq: MNST), for example. Back in 2003, Monster was trading for a measly $0.35 per share. Then it had a major breakthrough by marketing to a younger demographic. Today, MNST is trading for over $125 per share. That's a nearly 34,000% gain. An initial investment of just $5,000 back in 2003 would be worth more than $1.7 million today. Of course, not every penny stock is a winner. The penny stock market – or pink sheets – is riddled with fraudulent companies. Many unsuspecting investors fall for these overhyped companies because they don't perform the proper research. On a single day in June 2014, shares of Cynk Technology Corp. (OTCMKTS: CYNK) surged 24,000% to $21.95. The supposed "social network" company had a $4.5 billion stock market valuation. But it turned out the company had no assets, no revenue, and only one employee. The U.S. Securities and Exchange Commission stopped trading for Cynk in mid-July. When trading resumed, its shares plummeted to $0.60. Investors that fell for Cynk's micro-cap fraud lost a lot of money. Many other companies like Cynk get listed on the pink sheets only to be flagged later by the SEC for misleading investors. How to Trade Penny Stocks, Strategy No. 1: Study 10-K reports. A 10-K report is an annual summary of a company's financial performance. It tells you everything you need to know about a company's earnings, assets, and liabilities. Looking at a penny stock company's 10-K will help you see whether it's actually making money, or just blowing smoke. It will also help you see if the company has taken on too much debt, making it a poor long-term investment. Companies like Cynk have red flags all over their 10-K reports. You can pull a company's 10-K report from the SEC's website. How to Trade Penny Stocks, Strategy No. 2: Watch for "pump-and-dump" activity. Look at the company's stock performance for the last year. If there are too many dips and pops, it means that some traders are artificially inflating the stock then selling it at a higher price. This is called a pump-and-dump scheme. To avoid these, watch out for false promotions or spurious promises of unrealistic gains. In general, the less speculation a penny stock has, the less of a chance it will be a victim of pump-and-dump schemes. Cynk is a perfect example of a company using a pump-and-dump scheme. CYNK's owner tried to conceal his ownership and control of the company, posing as a regular shareholder. He then tried to cash in on Cynk's 24,000% single-day gain. Fortunately, the SEC stopped that from ever happening. How to Trade Penny Stocks, Strategy No. 3: Stick to the major exchanges. Most penny stocks trade on what's called the Over-the-Counter Bulletin Board (OTCBB), or pink sheets. These stocks don't require the same level of financial reporting that stocks on the New York Stock Exchange (NYSE) or Nasdaq do. For example, the Nasdaq requires a company have aggregate pre-tax earnings in the prior three years of at least $11 million, among other strict requirements. The NYSE requires companies to have 1.1 million publicly traded shares outstanding that are worth at least $100 million, among other qualifications. It's always best to buy stocks on the major exchanges when you can. Being Canadian this company interests me.